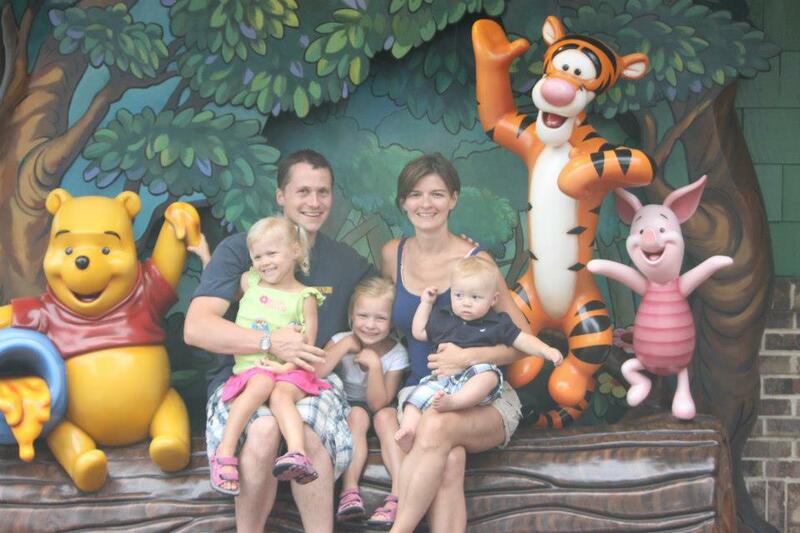 Greg Anderson and his sweet wife Amy are a family of 5. They like to travel but having 3 small kids, it’s hard to enjoy a vacation with everyone constantly on top of one another. He recently guest posted for another blog and shared his experience staying in a hotel instead of a vacation home. As you will read here, it was not a fun experience. It was 5:00 a.m. I was in a hotel “suite” with six other people in upstate New York and nobody was sleeping. I had just spoken to my daughters – who were sharing a bed on the far side of the room – for the third time, telling them to keep their hands off one another. My son, in a Pack ‘n Play at the foot of my pull-out sofa bed, was awake and acting as if it were 2:00 in the afternoon. He’d heard my bed squeaking repeatedly as I got in and out to tell the girls to quiet down, and he was up for the day. My in-laws groaned, praying that the kids would simmer down long enough for a few more minutes of sleep, but it wasn’t happening. This isn’t how Amy and I had pictured this “relaxing” hotel stay playing out. Has this ever happened to you? Imagine coming back from a long day at the theme parks in central Florida and – after you put the kids to bed, of course – taking a dip in your private pool to cool off, or enjoying a glass of wine with your spouse on the veranda. I’m not joking. You can have a vacation like that. I know because I stayed with Global last summer and I’ll be staying with them again in about three weeks. Greg, Amy, Cailin, Kylie and Parker will be staying with us in a few weeks. They are allowing us to film them while on vacation to share with you how much fun it is to stay in a vacation home over a hotel while doing a Disney vacation. We are excited to be hosting them, and you can see for yourself how a family of five plus grandparents, make vacationing not stressful, a money saver, and truly the best possible vacation you and your family may ever have. Make sure to check out Global Resort Homes on Facebook and on the Web! *To read all of Greg’s post, you can click here. Greg and his family were offered a discount in exchange for a review of his stay with Global Resort Homes. We have insisted that everything he shares are all of his own opinions. I can't wait to see their adventures. We are looking forward to a trip at the end of August and I can definitely agree that a vacation home is MUCH better than a hotel…no matter how big or small the family! I can't wait to see how their trip goes! Yes! Families plus Global makes a wonderful vacation! I am sure with those little ones it will be very memorable. I loved the kids not going to sleep. That's exactly what happens when everyone is in the same room! Yes, totally! It's not such an easy vacation when you do it like that. A Vacation Home for Family Travel is DEFINITELY the way to go – hands down! A DVC rental or any Disney resort is awesmoe. My favorite part of the video was when when hubby asked for a massage when the wife was asking for one. I still think staying in a cheap hotel is better, if you can't do a DIsney DVC or resort. Disney has some huge rooms. Plus I would rather spend my time/money at Disney not a fancy home rental. I just sleep at the hotel. I feel compelled to respond to you, as the author of the piece and the father who suffered through the New York hotel stay that I wrote about. I don't want to argue. As a matter of fact, I used to agree with you. My wife and I would (and did) sleep anywhere. The accommodations didn't really matter – all we were doing was sleeping, right? Children. Changed. Everything. Now, trying to have us all sleep in one room is an exercise in total insanity. No one sleeps well and we're all up by 5:00 and ready to kill one another. You may not *need* a kitchen or private pool (but trust me, you come to love them) but you DO need sleep. Having separate bedrooms is what makes that happen for us. I completely agree. When we stay in a hotel room we have to have three people in one bed! Not fun. As a mom with teens, a vacation home is so practical and goes such a long way towards a peaceful vacation. I cracked up as I watched the video because "I've been there". Waiting in line for the bathroom. Check. Kids who won't go to sleep. Check. No alone time with your spouse. Check. I don't think my husband and I have ever wanted to get divorced after a hotel stay, but I do remember some less than pleasant stays when larger accommodations would have made a world of difference.